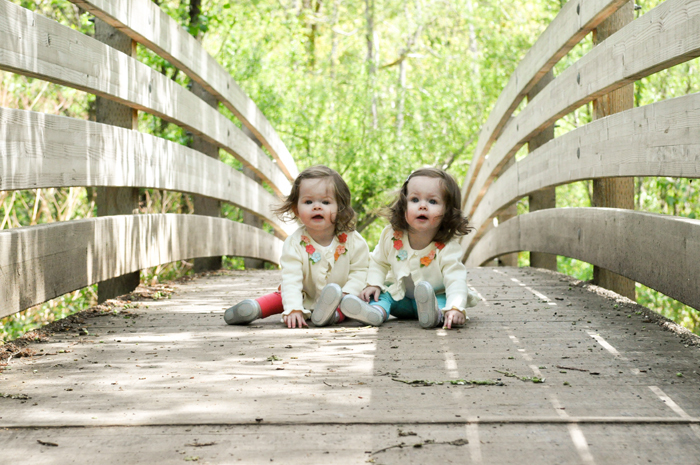 Head Over Heels Photography: Twins! After doing photography for a couple of years now, I finally had my first chance at a twins photoshoot. 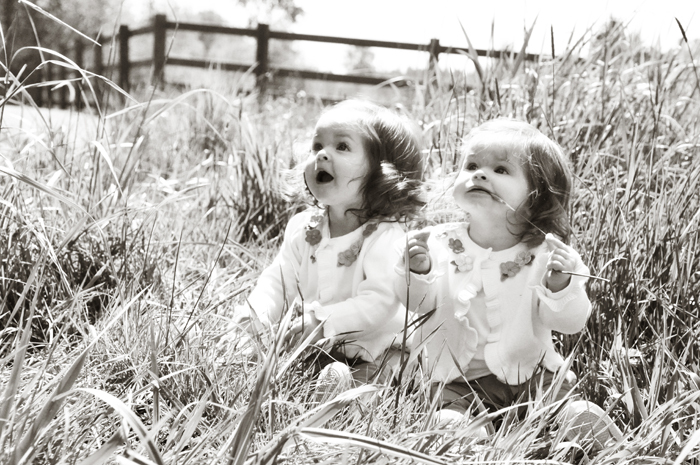 Never did I imagine how difficult and how much fun a shoot with twins would be. Difficult in the sense that it was near impossible to get a shot of both girls looking at the camera...at the same time...without one or the others hands in their mouths. I was over this obstacle real quick and enjoyed spending two hours following these darling girls through the park. 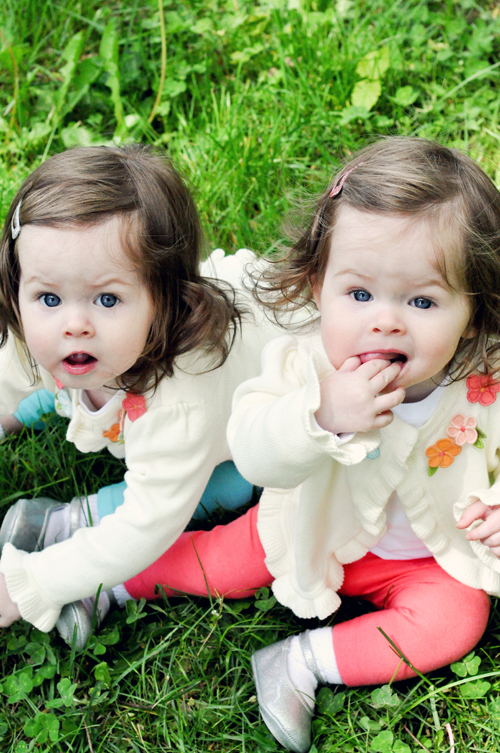 As a 1st birthday gift, Allison purchased a photography session for her two adorable nieces, Ana & Elisa or in her words "the most adorable twins girls - ever." 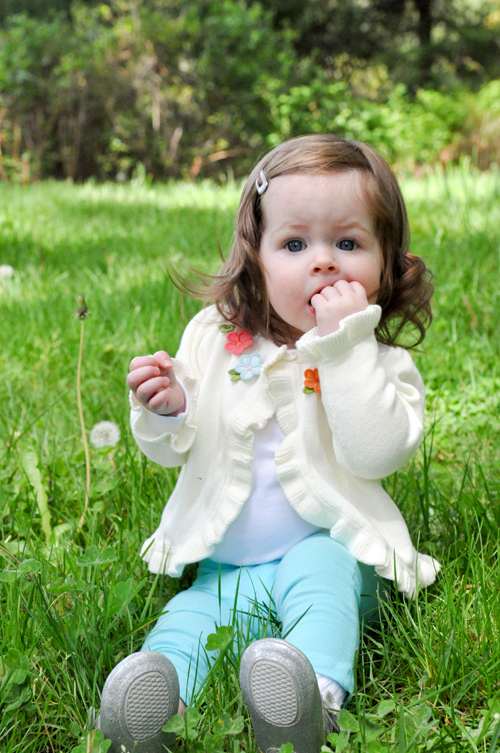 Can't wait to capture more of these beautiful girls at auntie Allison's wedding in July. These are great! The twins are so cute, good job! Oh my gosh, what adorable little girls! Love the black and white one- great job! I love the last one! I can't believe all their hair! So cute. ooooooohhhhh! Love these. Love the outfits. 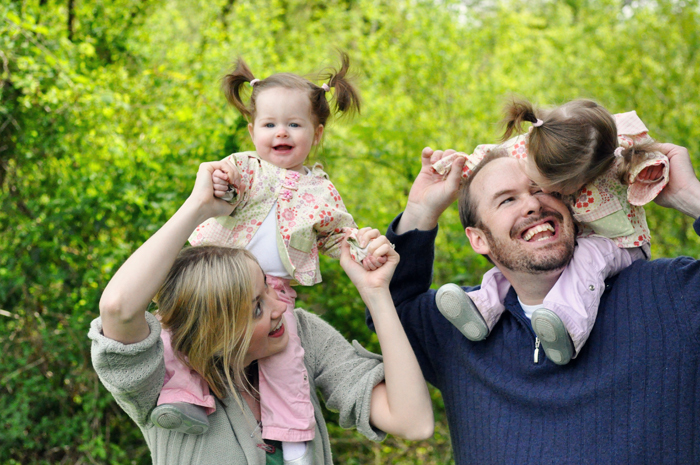 Beautiful babies, beautiful family! Great job, you make it look so easy!! Adorable little girls. Gorgeous photos. You. Are. Good. Period. They are precious!! Great pics, Coffey!! Beautiful family! Adorable girls! Great photos! Oh my goodness, this is just too precious! 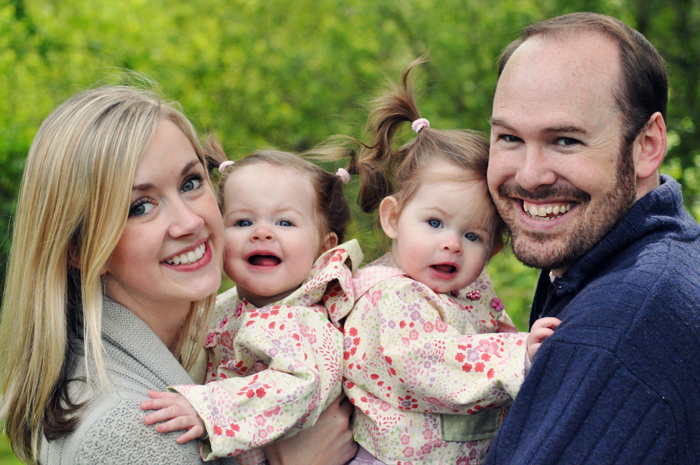 What adorable little girls, such a cute family! Great job friend, love it! Great work Erin! I just adore their hair! So cute! OMG What adorable little girls. You did such a great job. Oh my goodness, they are SO cute!!!! Great job, that couldn't have been an easy task! !